Wildlife is not only beautiful, but vital to every garden and with a little encouragement you can tempt the visitors that offer us gardeners a special helping hand. 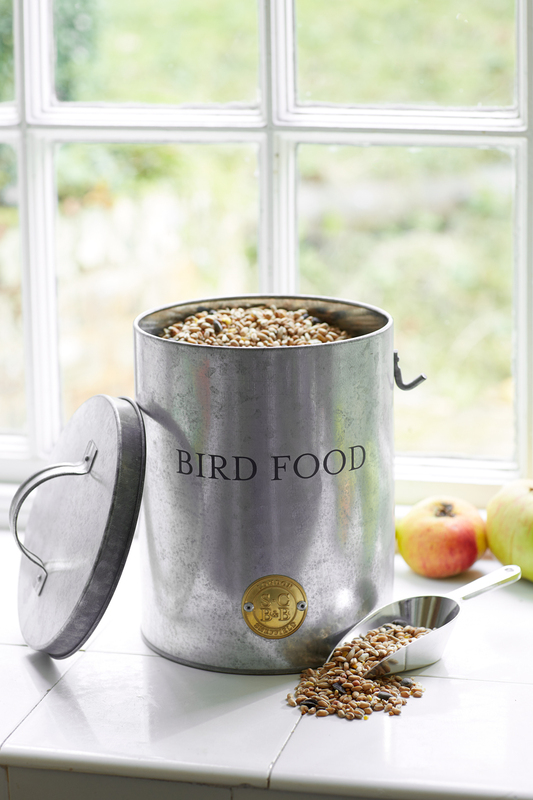 This lovely galvanised pest proof bird food tin stores your bird food safely. 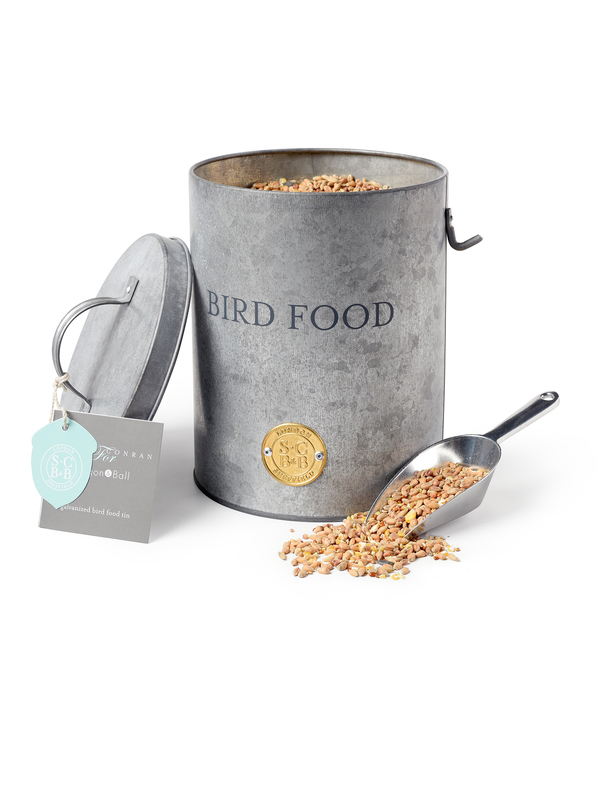 It comes with handy scoop that hangs on a hook on the side of the tin. Dimensions: 16 cm diameter x 20 cm height. Please Note: Due to the galvanised finish of this tin it will not rust.